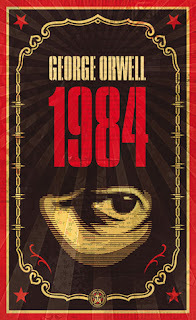 About 1984 by George Orwell*: The year 1984 has come and gone, but George Orwell's prophetic, nightmarish vision in 1949 of the world we were becoming is timelier than ever. 1984 is still the great modern classic of "negative utopia" - a startlingly original and haunting novel that creates an imaginary world that is completely convincing, from the first sentence to the last four words. No one can deny the novel's hold on the imaginations of whole generations, or the power of its admonitions -a power that seems to grow, not lessen, with the passage of time. I've started up lettering, doodling (or whatever you want to call it) again because of a need for some more tangible creative activity. 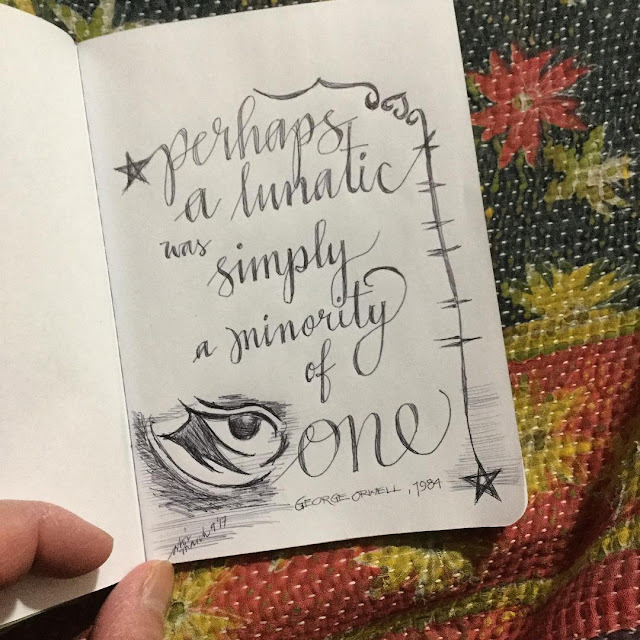 I've been dabbling in calligraphy for a while now and decided to get back into it. You know the feeling that you're just touching a keyboard all the time? There is something to be said about holding a pen in hand and giving a blank sheet of paper a once over before purposely marring it ... for yourself. Do you like to doodle? I'd love to see some of your work!